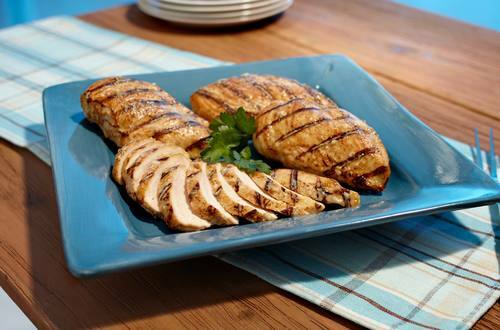 A simple grilled dinner solution. 1 Combine Hellmann's® or Best Foods® Real Mayonnaise with cheese in medium bowl; reserve 1/4 cup. 2 Grill chicken, turning once and brushing frequently with Mayonnaise mixture during last 5 minutes, until chicken is almost cooked, about 10 minutes. Evenly top with reserved mayonnaise mixture. Grill covered until chicken is thoroughly cooked and topping is golden, about 2 minutes.